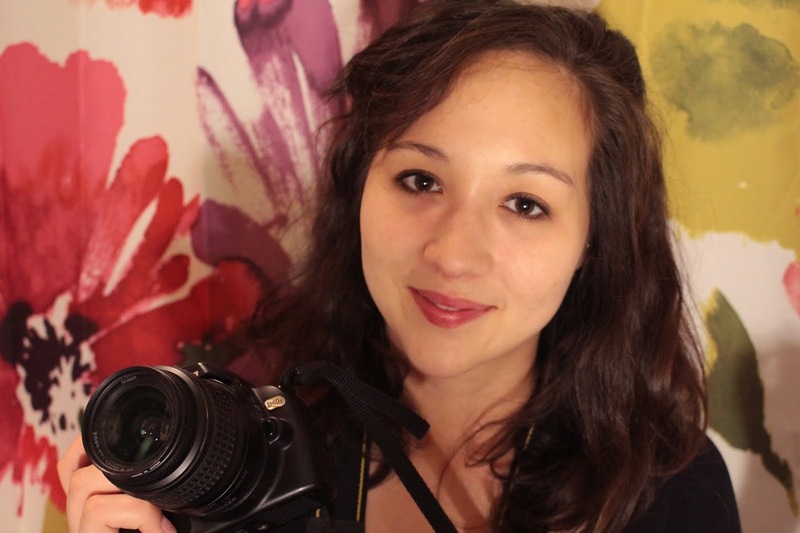 Meet Katie In, new Videography Intern at Say Hey There Social. Katie is an enthusiastic, multi-talented creative and we’re excited to have her as part of the team and know she will produce brilliant work during her time with us. Katie graduated with a Bachelor of Arts degree from Grinnell College in 2013 and spends her free time indulging in all things creative, including music, photography, drawing, and design. She is well-traveled through her work with Tiny Circus, a collective that produces collaborative stop-motion animations, and just recently relocated to Omaha. Katie will be producing videos for Say Hey There Social and our client partners and learning more about marketing, branding, and social media along the way. Video will only continue to grow as the marketing medium of choice when it comes to evoking emotion and creating an interactive brand experience. Video is a powerful way to showcase your organization, a campaign, a product or service, customer testimonial, and more. If you’re looking for a way to incorporate video into your 2015 marketing strategy, contact us to schedule a creative brainstorm session! Katie: I love creating videos because I get to play with stories, light, and sound. Every video project presents a new set of variables to work with, and I like the challenge of creating visual and audio content that fit together to tell a story or communicate an idea. I also appreciate that video is usually a collaborative medium. Whether you’re shooting a video for fun with a few friends, or whether you’re involved in a bigger production with a budget and a cast (and a snack table if you’re lucky), you’re most likely working with a team of people to make a video, and that’s just a fun thing to do! Biggest thing you’ve learned from touring with Tiny Circus? Katie: I work with a collective called Tiny Circus, and we make collaborative stop-motion animations with schools and community groups around the country. Touring with Tiny Circus, I get to meet people and communities all over the country, and since we usually stay in a town for a week or longer, I get to know their stories and passions too. Mostly, I’ve learned that it’s not too hard to make friends and find open, supportive and creative communities that rock. What are your favorite social media sites and why? Katie: Facebook keeps me most connected to people from various parts of my life, and it’s especially useful for staying in touch with the people I meet in my travels with Tiny Circus. For me, Facebook is the social media site that plays the biggest and most functional role in my life. Reddit is another social media site that I love because I’m fascinated with its culture. Not only are there a ton of subreddits, which reflect how vastly different people can be in their interests, but it’s a user-driven platform where members of the community have a say in the rules and the etiquette of the site. I visit subreddits to find advice about anything and everything from audio engineering to cooking on a budget. 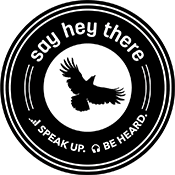 What do you most look forward to learning from your time at Say Hey There Social? Katie: I look forward to working with Mikala and meeting other enthusiastic entrepreneurs in Omaha. Say Hey There Social thinks big and focuses on building great community as much as great content. I’m thrilled to be part of something that is both on the cutting edge of digital communication and also engages with people face-to-face with a ton of enthusiasm and authenticity!